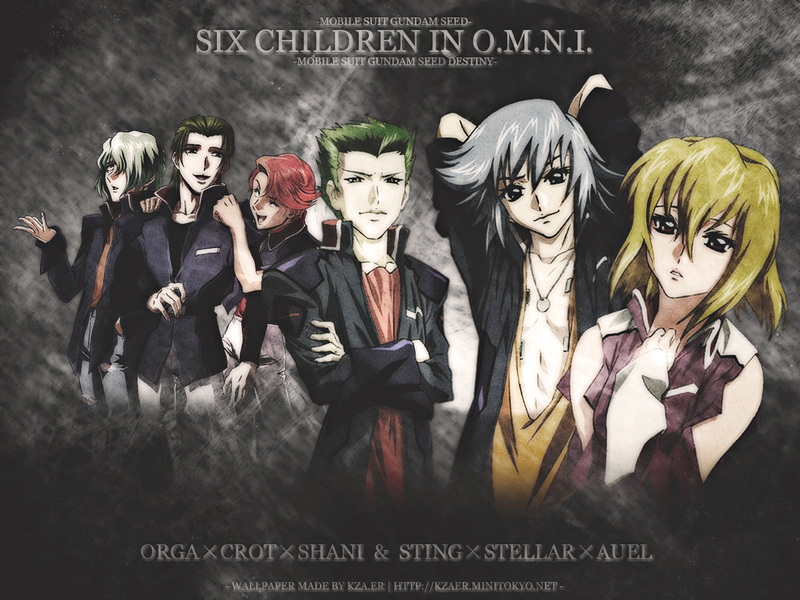 Mobile Suit Gundam SEED Destiny Wallpaper: 6 Children in O.M.N.I. Minitokyo »	Mobile Suit Gundam SEED Destiny Wallpapers » Mobile Suit Gundam SEED Destiny Wallpaper: 6 Children in O.M.N.I. I prefer Shani, Orga and Clotho way more than Stellar, Auel and Sting. One question. What is OMNI? I love the Extended too. I really liked you creative Idea showing all the children that Earth's Alliance messed with! Thanks for sharing! Quote by vatican92I prefer Shani, Orga and Clotho way more than Stellar, Auel and Sting. yeah i prefer shani orga and crot too! but i really like the idea of the wallpaper featuring all the 'druggies' haha! well done and thanks! 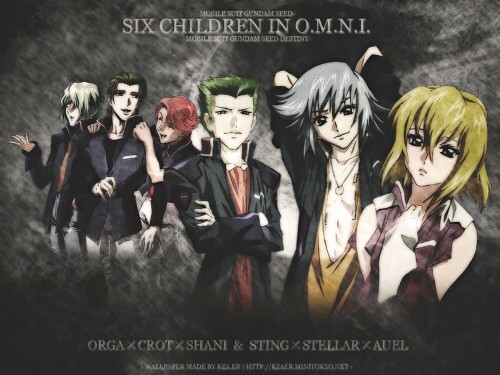 im confused about 'omni' too..
Auel and Shani are my faves, but I love both the Druggies and the Extendeds! cool wallpaper.